Last year, state regulators found that officials in the Parker County jail were routinely falsifying training records. Jesse Andrew DeBusk’s family was home opening presents Christmas Day when the call came – the worst kind of call. DeBusk, 38, died 28 hours after being booked in on an assault charge at the Parker County jail, a facility run by the private, for-profit company LaSalle Corrections. Their grief was compounded once they saw graphic videos of the deadly confrontation with LaSalle jailers on Dec. 24, 2016. The video shows DeBusk screaming over and over that he couldn’t breathe after guards pepper sprayed him and tried to restrain him. Jailers placed their knees into his back as he lay face down. An autopsy would later conclude that the “physical struggle” contributed to DeBusk’s death. “It’s upsetting to hear somebody you clearly love beg for his life,” said his sister Ashley Bourdelais. A nine-month News 8 investigation found DeBusk is one of a series of questionable deaths inside jails run by LaSalle. 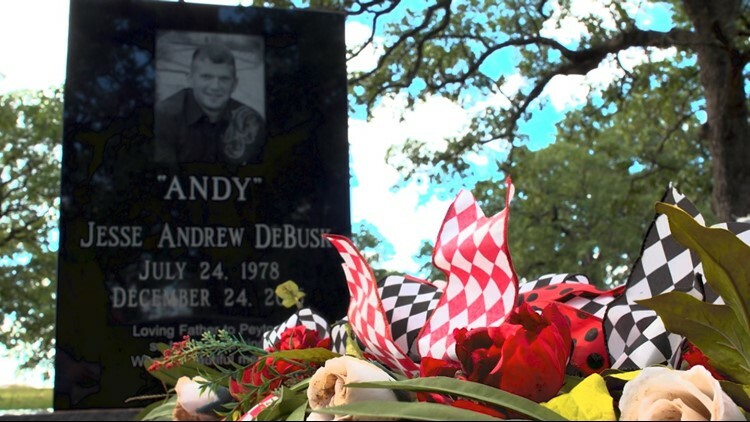 A Parker County grand jury cleared guards of “criminal responsibility” in DeBusk’s death. His family, however, alleges in a lawsuit that ill-trained guards violated the company’s polices, setting in motion the events that led to his death. Several of the jailers involved in the incident had little training and only held temporary licenses, records show. News 8 also found that LaSalle is taking advantage of a state rule that allows jailers to work with a temporary license – with no training required – for up to a year. Current and former jailers tell News 8 the company’s jails are poorly run and understaffed with young, inexperienced guards ill-prepared for the job. Two weeks ago, News 8 reported that five deaths in three county jails run by LaSalle came after jailers falsely claimed to have checked on prisoners when they had not done so. LaSalle has not responded to numerous requests for comment. On Dec. 23, 2016, police received a call about DeBusk running out of control through backyards in Fort Worth. Officers arrested him on an outstanding Parker County assault warrant, and he was eventually taken to the Parker County jail, run by LaSalle. He told deputies he’d been using methamphetamine and had not slept in 24 hours. The next day, Christmas Eve, DeBusk called his mother, Diane Wallace. He wanted her to bail him out. She told him she would come get him the next day. “I felt he was in a place where he was safe,” Wallace said. That afternoon, DeBusk was upset. He wanted a shower. He was taking off his clothes and throwing water on the floor of a holding cell, according to law enforcement records. DeBusk argued with one of the jail sergeants. Guards decided to move him to a special cell for unruly prisoners. He was pepper sprayed after guards say he tried to hit one of them. One of the jailers recorded a video of what happened next. DeBusk repeatedly said he couldn’t breathe after he was pepper sprayed. Three jailers and a police officer lifted him into the air and carried him face down – shackled by the hands and feet –through the jail. DeBusk’s breathing was labored. They laid him face down once they reached a new cell. Guards placed their knees in his back. “I can’t breathe,” he yelled. Guards told him to stop moving. The jailers threatened that they would pepper spray him again. “I’m gonna die," he said. Jailers unlocked the restraints. “Hey guys, he’s turning a different color,” one of the jailers said on video. That jailer called for medical. Jail video image of Andy DeBusk inside the Parker County jail, run by LaSalle Corrections. By now, DeBusk’s face was purple and gray. His face was covered in vomit. He was no longer moving. A sergeant ordered guards to leave the cell. Guards and a nurse periodically looked through the cell door window at DeBusk. The nurse did not go in to check on him. Eventually, correctional officers realized that DeBusk wasn’t moving so they decided to check on him. He was not breathing when they turned him over. Four minutes and 54 seconds passed before guards went back into the cell. Six minutes and 25 seconds had elapsed since the jailer mentioned DeBusk was changing colors. The video shows guards and the nurse tried to resuscitate DeBusk. It was too late. He was pronounced dead at a local hospital. On his medical intake form, DeBusk indicated he had heart trouble, but none of the people involved in the incident, including the nurse, was aware of his medical history. LaSalle's policy requires medical staff be consulted before the use of pepper spray to determine the medical conditions of inmates. Records show that did not happen with DeBusk. The Texas Rangers investigated DeBusk’s death. The jail nurse told the Rangers that she was not aware of Debusk’s medical history. She said she was asked to check on him. She told investigators she could see the rise and fall of Debusk’s chest through the cell door window. “They wanted to know if he was OK and I said, yeah, he was fine,” the nurse said. The nurse did not examine DeBusk as required by LaSalle's pepper spray protocol. A sergeant, who was in the cell during most of the confrontation with DeBusk, later told investigators that he never heard DeBusk say he couldn’t breathe. He said he did not recall anyone saying that Debusk was changing colors. Several jailers, including the assistant warden Stacy Griffin, told investigators that prisoners always say they can’t breathe when they are pepper sprayed. “I didn’t see anything out of character from someone being sprayed or restrained,” Griffin told investigators. Lowry, the former president of the state correctional officer’s union, reviewed the videos of the DeBusk confrontation, as well as another death that occurred in November 2017 at LaSalle’s Bowie County jail in Texarkana. 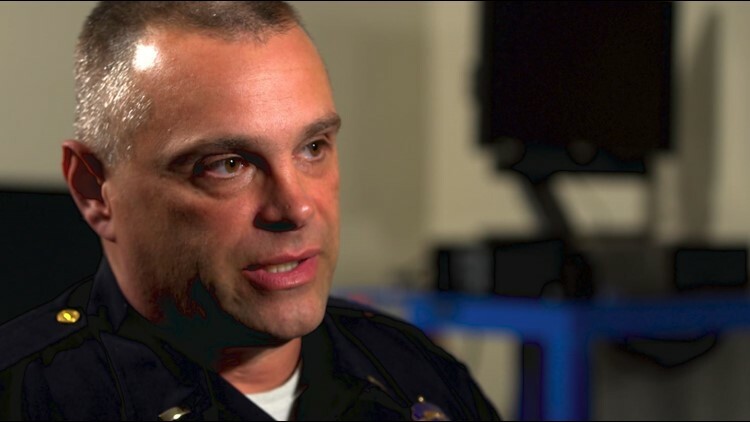 Lance Lowry, a Texas prison expert, reviewed LaSalle jail video for WFAA. It’s evident from the video that DeBusk was in severe respiratory distress, Lowry said. In the Bowie County death of Juan Jose Cordova-Sanchez, LaSalle jailers also put their knees in his back in a way that could cause positional asphyxia. The video of that incident shows the inmate lying on the ground unresponsive for more than three minutes before a nurse begins life-saving measures. “When he went into distress and it was clear he wasn’t breathing, they should have started CPR immediately,” Lowry said. Lowry said LaSalle should be held accountable for putting jailers in life-or-death situations for which he says they are not prepared. Current and former jailers told News 8 that LaSalle’s training typically consisted of about a week of watching videos, followed by a few days to a week of on-the-job training. They said they were not taught defensive tactics until they’d been on the job six months or more. “They have a revolving door of corrections officers,” said Danielle Kacho, a former Johnson County jailer. A former Parker County guard, who also worked as a correctional officer in state prisons, said the lack of training puts guards’ lives at risk. The Texas Commission on Law Enforcement licenses county jailers. To get a license, TCOLE requires jailers to complete a basic county jail course, a 96-hour program that teaches, among other things, how to handle unruly prisoners and how, and when, to use force. But News 8 found that LaSalle is taking advantage of a state rule that allows county jailers to work under a temporary license for up to a year. Temporary licenses do not require any training. A News 8 analysis of a TCOLE database of jailers showed that 47 percent of LaSalle’s Johnson County jailers are working with temporary licenses. In Parker County, 26 percent have temporary licenses, and 31 percent in Bowie County. By comparison, less than one percent of the county jailers in Tarrant, Dallas and Kaufman County have temporary licenses. WFAA’s analysis also found that a third – or more – of Lasalle’s guards in Parker, Johnson and Bowie counties were hired since the start of 2018. In fact, several of the jailers involved in the DeBusk confrontation had only been on the job a few months and only had temporary jailer’s licenses. Consider Ty Ashley. He was one of the guards videotaped with a knee in DeBusk’s back in 2016. Ashley had only been on the job two months and had not been through the state-mandated course. He told investigators he had no prior correctional experience and had worked in construction. Ashley obtained his jailer’s license in November 2017, about a year after he was hired. He quit earlier this year, records show. A former jailer who took part in the DeBusk confrontation spoke to News 8 on the condition of anonymity. She blames a lack of training for what happened to DeBusk. 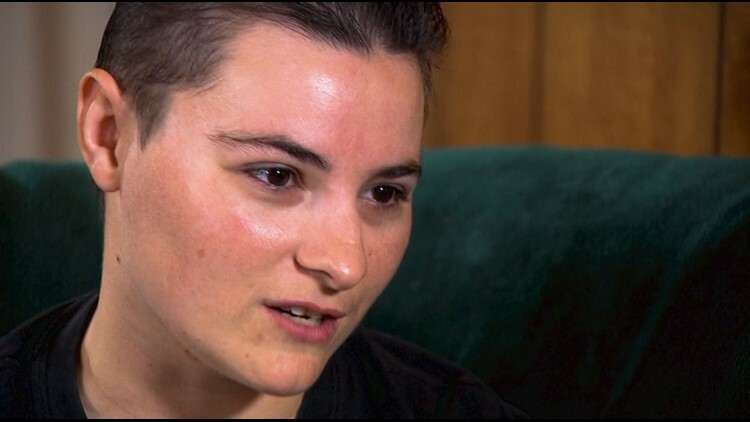 Another former Parker County jailer, who also asked not to be identified, told WFAA policies and procedures are routinely ignored, and in other cases, jailers aren’t even aware of the policies, she said. In 2017, the year following DeBusk’s death, lax training was still a problem, records show. A TCOLE investigation concluded LaSalle’s Parker County jailers were signing “training rosters for training they never received” including CPR, firearms handling and inmate sexual assault prevention. The investigation found “numerous false training hours” were reported to the commission between 2015 and 2017, according to TCOLE documents. Ron King, the current Parker County jail warden, and William Gray, the warden who preceded him, were reprimanded. Both denied having any knowledge of the falsifications. The TCOLE investigation began after former Parker County jailer Jorge Garza reported the training issues. “My concern was about the lack of use of force training that we received, or should I say we didn’t receive,” he wrote in a statement. He said jail supervisors made him and others sign sheets, called rosters, indicating they had training that did not occur. In one case, he said he and other jailers signed sheets saying they had received training for suicide detection and prevention after an inmate tried to hang himself. “Griffin seemed as if she didn’t want to hear anything about it, and she told us to just sign the folder,” he wrote. He said he also told then-Warden Gray what was going on. TCOLE investigators took statements from about a dozen current and former Parker County guards. “I also asked why we were having new officers train brand new officers,” he said. Parker County is not the only LaSalle location where training has been questioned. In a recent lawsuit deposition, a former Bowie County corrections officer testified a LaSalle sergeant had her sign a document saying that she received 40 hours of on the job training. Instead, she said, she only got two days. She also testified in the same deposition that she was taught to falsify jail checks. She was fired after she falsely documented she had checked on a prisoner who ultimately died of a heart attack in his Bowie County jail cell. The jailer, who had been on the job for three weeks when the prisoner died, testified that she had not been trained on the importance of doing the checks. How much training do jailers in other counties get? Dallas County puts jailers through a four-week academy followed by six months of formal on the-job-training with a training officer. New Tarrant County jailers attend a seven-week academy followed by four weeks of working with certified field training officers. Neither facility allows jailers to work unsupervised until they pass the state exam. DeBusk’s family acknowledges that he struggled with drugs and alcohol for years. He began using drugs again while going through a divorce, his family said. Before that, he ran a successful construction and landscaping business. He dressed up as Santa Claus and the Easter Bunny on holidays. 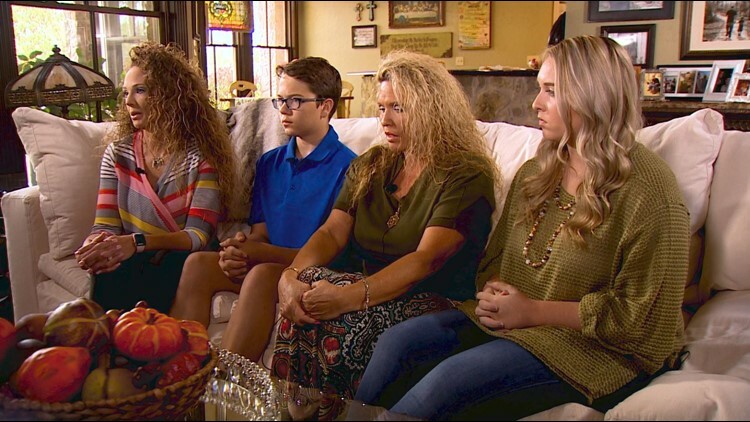 His son Peyton, now 14, can’t talk about his daddy without crying. Two years later, DeBusk’s mother, Diane Wallace, still feels guilty for not having bailed her son out of jail. The family’s lawsuit alleges guards violated the company’s policies, including one that requires guards to use the “minimum amount of force necessary to control the situation,” and another that says “inmates shall never be placed face down” to prevent the possibility of positional asphyxia. The word “never” is in bold and italics in LaSalle’s policy. Click here, or scroll down, to read LaSalle's use of force policy. She told News 8 her son never should have been moved from a cell in which he was already by himself. Wallace holds county officials, who put LaSalle in charge of the jail, and Parker County Sheriff Larry Fowler, who oversees the jail, for her son’s death. Through a spokesperson, Fowler refused to comment to WFAA on the DeBusk case, or the training issues at his jail. DeBusk is buried less than a mile from his mother’s home. A large granite headstone – with a black and white photo of DeBusk – sits atop his grave. Family members visit the grave often to remember Andy, and pray.